A report from the Children’s Commissioner’s Growing Up Digital Taskforce. The internet is an extraordinary force for good but it is not designed with children in mind. Yet one third of internet users are under the age of 18 and the part it plays in their lives continues to grow: among 3-4 year olds, in the last year, time online increased from 6 hours 48 minutes to 8 hours 18 minutes a week, and 12-15 year olds now spend over 20 hours a week online. 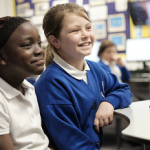 Despite good progress made by government and industry together through the UK Council for Child Internet Safety (UKCCIS) on issues such as parental control filters and age verification, much more needs to be done to create a supportive digital environment for children and young people. At the moment, children are not being equipped with adequate skills to negotiate their lives online. Offline, adults aim not just to ‘educate’ children as they grow up, but to help them develop resilience and the ability to interact critically with the world; recognising that without these ‘softer’ skills, they cannot grow up as agents of their own lives. 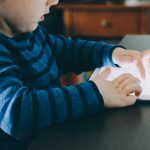 Having considered how well children are prepared to engage with the internet, with a group of technology, legal and policy experts, the Children’s Commissioner believes it is time for a step change in how we prepare children for digital life. She is calling for three interventions from government: the creation of a digital citizenship programme, to be compulsory in every school from 4 – 14; implementation of the intent of the General Data Protection Regulation, by introducing simplified Terms and Conditions for digital services offered to children; and a new Children’s Digital Ombudsman to mediate between under 18s and social media companies. Together these interventions would give children and young adults resilience, information and power, and hence open up the internet to them as a place where they can be citizens not just users, creative but not addicted, open yet not vulnerable to having their personal information captured and monetised by companies. The rights enjoyed by children offline must be extended online. While the US, Australia, the EU and even the UK have made small steps toward better protecting children’s rights online, the scale at which these rights are still routinely ignored is eye-watering. Without these interventions, the Children’s Commissioner believes that we are failing in our fundamental responsibility as adults to give children the tools to be agents of their own lives.